The fast-changing world of technology means that within a few decades, a technological invention can be replaced by a newer, more relevant one. Ever since email came about in the 1970s, it has been a useful business communication tool. In fact, it now surpasses fax as the preferred channel. It’s not hard to understand why: not only is email fast, it also doesn’t require additional office equipment to function. With the surge in email’s popularity, fax machines started to lose favour. Today, many offices rely mainly on email to send and receive business messages. Fax goes downhill… or not. And yet, there are an estimated 46.3 million fax machines that continue to be in use around the world. That means that fax usage is still active. Even with the dip in ubiquity, fax continues to be responsible for the communication of important business papers. 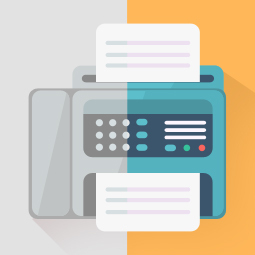 So what exactly is it about fax that keeps it relevant in the business world? The truth is, email is not a complete replacement for fax. Even with email’s convenience, some industries continue to retain fax as one of their communication channels. Banks, for example, require faxed documents with handwritten signatures when validating a request from the account holder, as the financial industry is more strictly regulated. As convenient as they are, email greeting cards just don’t convey the same warmth as one you can hold in your hand. That added element is what the Japanese appreciate, where handwritten fax allows people to make customisation requests easily. Despite Japan’s high-tech reputation, the handwritten fax is seen as a sign of respect for the receiving party. In a country that places a premium on sincerity, it is no wonder that the fax document is firmly embraced. Given that there are companies still using fax, it would be handy to have a fax solution when you need it. Online fax therefore is a good choice because you don’t need to own a fax machine to use it. By sending incoming faxes straight to your email inbox, it bypasses the issue of security for confidential documents. Such solutions are usually inexpensive and offer flexibility that businesses of any size can appreciate. Do you still use fax? Or have you gotten rid of your fax machine a long time ago? Let us know what you think about the future of fax in the comments below!